Sometimes, you need a quick weekend getaway -- someplace where you don’t have to drive a long distance or purchase an expensive plane ticket. 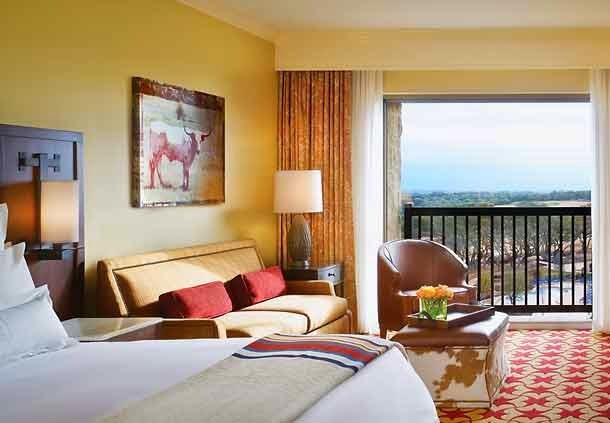 Luckily, San Antonio has a perfect weekend staycation destination: the JW Marriott San Antonio Hill Country Resort & Spa. Located just a few miles north of Loop 1604, this resort is close enough for local residents to drive over in less than an hour…but far enough away to feel like you’re getting away from it all. Once you arrive, you’ll find everything you need for a action-packed family staycation…or a relaxing, romantic getaway for two! The resort offers a huge onsite water park, terrific dining options, kid-friendly activities, the TPC San Antonio golf course, and the full-service Lantana Spa. Michael and I were recently invited to visit the JW Marriot for a weekend to experience all that it has to offer. We left rested and refreshed…and we arrived back home Sunday afternoon with plenty of time to get ready for the upcoming work week. We arrived at JW Marriott after work on a Friday evening, dropped our cars with the valet, and were quickly checked in. Before we knew it, we were settling into our spacious suite. The family-friendly suite featured a large bedroom, two bathrooms, a mini kitchen, large living/dining room area that can sleep at least two more people…and a fabulous L-shaped balcony that provided sweeping views of both the water park and the golf course. 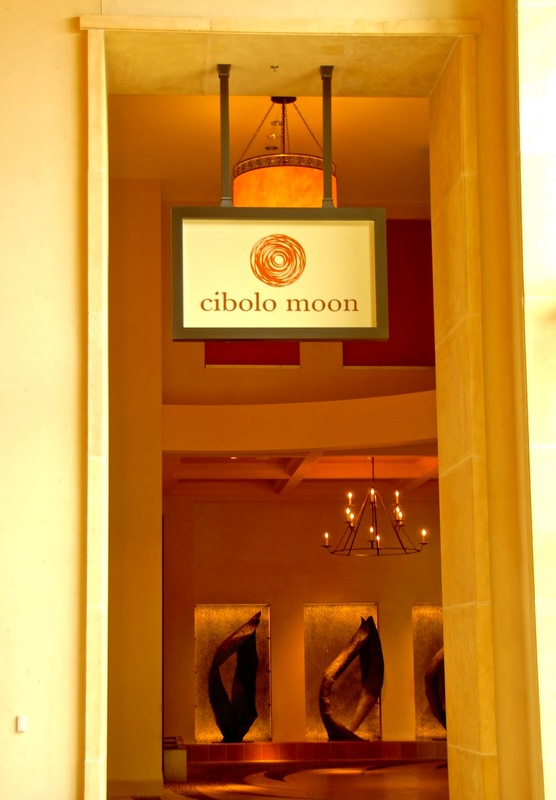 We started our staycation weekend with a fantastic dinner at Cibolo Moon, which features spicy Southwest specialties and a highly regarded tequila program. We were warmly greeted and quickly shown to our table. We started our meal with a duo of appetizers and one of Cibolo Moon’s award-winning Cibolo Staple Margaritas. Their handcrafted cocktails are made with fresh-squeezed juice and organic agave. The restaurant takes its tequila very seriously! In fact, they've been given an Award of Distinction Agave del Oro category from the Tequila Regulatory Council. 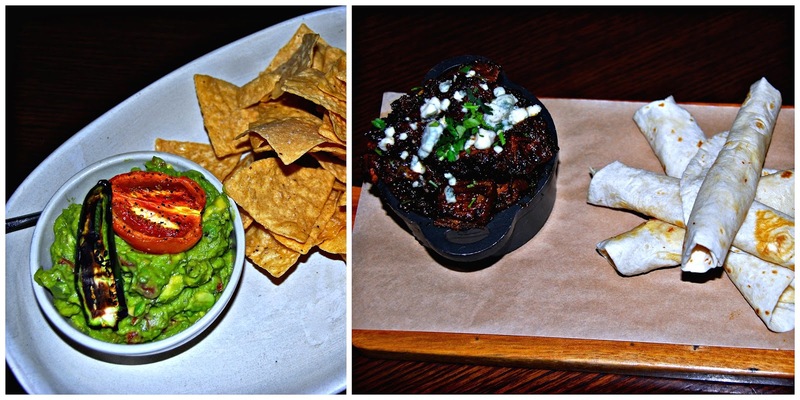 We enjoyed sharing their Guacamole with Bacon & Onion and the Smoked Brisket "Burnt Ends." The margarita was tasty…and potent! The guacamole was creamy and fresh, and the tortilla chips were warm...not the least bit greasy. The brisket "burnt ends"consisted of crispy smoked beef brisket pieces topped with blue cheese...perfect for rolling in house-made flour tortillas. We opted to go with seafood for our entrees. It was a warm evening, so I chose the light and refreshing Gulf Crab Salad with Avocado and Chili-Lime Chips. Michael selected the spicy Chili-Seared Shrimp with Cheese Grits. Both entrees were well prepared and tasty. My salad featured a generous amount of sweet lump crab, and Michael's shrimp were large and perfectly cooked. 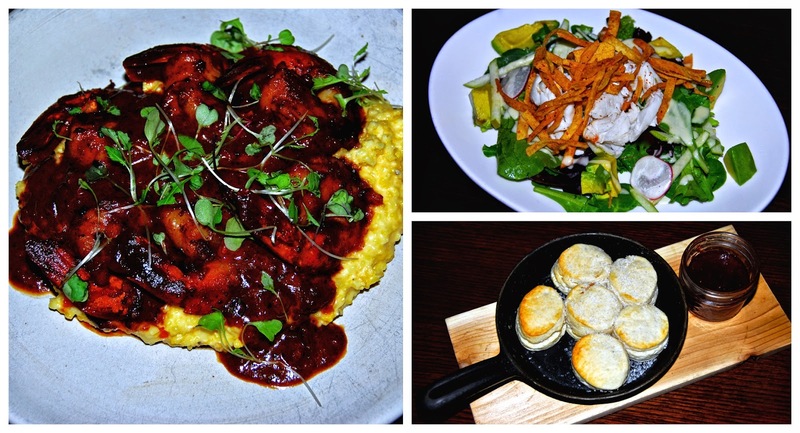 Both entrees paired nicely with Cibolo Moon’s signature biscuits and strawberry jalapeno jam. They came served in a mini cast iron skillet and are some of the best biscuits I’ve ever had – tender and moist. We ended our meal by sharing a dessert duo: Blueberry Cobbler with Blueberry Ice Cream and Deconstructed Banana Pudding. 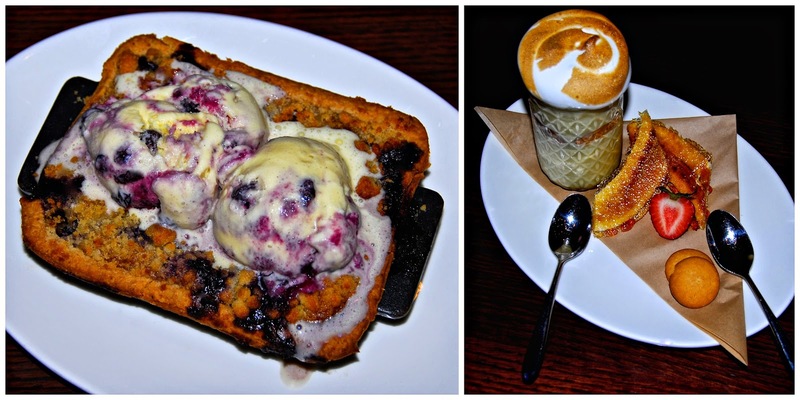 Both desserts were comforting and delicious. We had never had blueberry cobbler before, but we loved the sweet-tart taste of the warm blueberries. The banana pudding was an updated version of a Southern classic, served with bruleed bananas and topped with a toasted meringue topping. It was the perfect sweet ending to a fabulous meal. After dinner, it was so convenient to simply walk back to our suite! Within 10 minutes, we were back to our room to unwind and get some rest. Our suite was spacious, with tons of great amenities -- WiFi, two flat-screen televisions, and even a working fireplace! The suite was literally the size of an apartment. Before calling it a night, I hopped into the suite's deep jetted soaking tub for a bubble bath. It was perfection -- a relaxing ending to the first evening of our stay at the JW Marriott. Saturday was going to be a busy day, so we were very thankful for the comfortable King size bed in our bedroom. We woke up Saturday and enjoyed a casual breakfast on the large patio adjacent to our suite's spacious living and dining area. Since our room had a mini kitchen with a microwave and a mini fridge, I had brought some fruit and yogurt with me when I arrived. We paired the fruit and yogurt with a stash of extra biscuits that our server at Cibolo Moon was kind enough to give us as we left the night before. The biscuits reheated perfectly after a few seconds in the microwave -- before being slathered with butter and more of Cibolo M0on's tasty house-made strawberry jalapeño jam. This relaxing al fresco breakfast for two was the ideal way to start our morning. Around noon, our friend Rebekah arrived with her daughter Abby to check out some of the kid-friendly activities that the resort offers. The JW Marriott prides itself on offering its youngest guests a wide range of activities throughout the day…both fun and educational! Abby took part in a learning activity at the Range Riders Kid's Club that taught her about the history of Texas. She had a great time, and the class gave the grownups a chance to visit for a few minutes nearby. The resort also offers kid-friendly arts and craft classes, as well as other activities. For older kids, the JW Marriott offers special Teen Scene activities. After Abby's activity was over, we changed into our swimsuits and spent some time exploring the River Bluff Experience, which comes complete with a lazy river and a trio of water slides. We had a blast floating in the pool and riding the water slides – they were lots of fun without being too scary for Abby, who’s 6. FYI: the pool area transforms into an outdoor movie theater on select evenings during Summer. 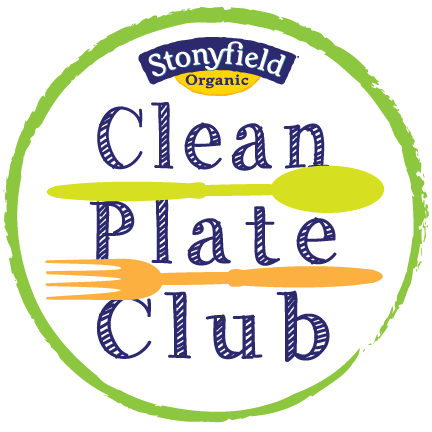 Snacks are served, and a family-friendly movie is shown on a huge outdoor screen! Another nice touch was that the friendly Range Riders Kid's Club staff sent us back to our suite with a cookie decorating kit so Abby would have something fun to do later. Our suite's large dining room table was perfect for setting up the sugar cookies, icing, and décor. 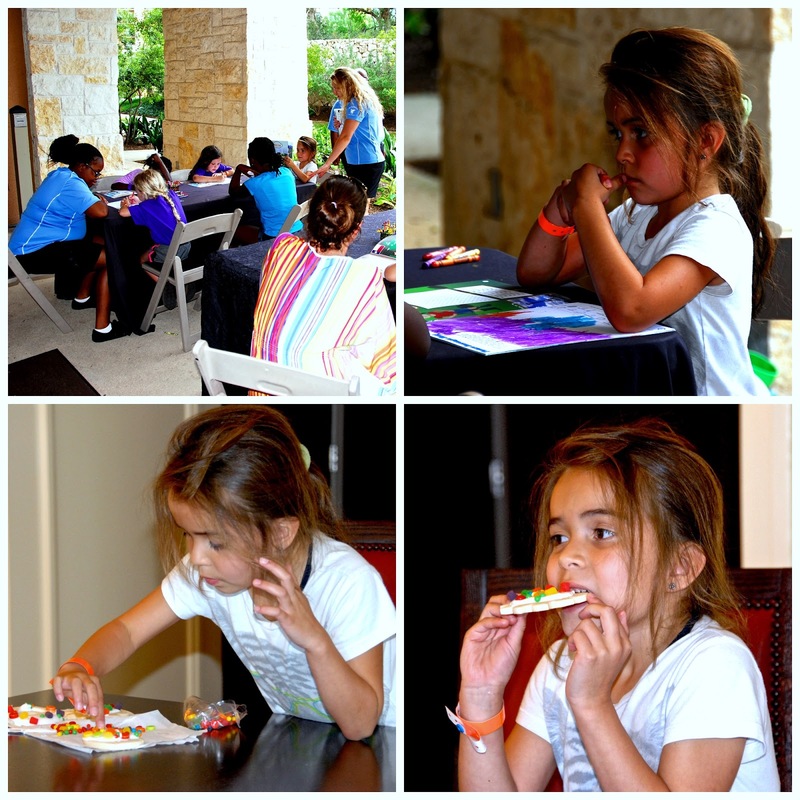 As you can see, Abby had a great time decorating – and eating – her cookie creations! Saturday evening was a relaxing night for us. Rather than get dressed up to eat at a restaurant, we opted to do something we had never done before: order room service! We ordered a couple of sandwiches from the In-Room Dining menu, and I picked up sodas from the onsite gift shop. We spent the evening relaxing in our pajamas eating yummy food while we watched a Spurs playoff game. It was a real treat for Michael and I to chill out together! I mean it when I say that the JW Marriott truly has something for everyone. 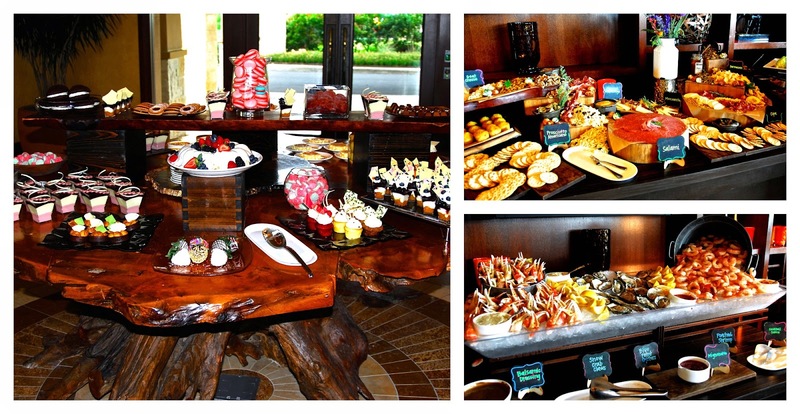 We woke up Sunday morning and prepared to check out…but not before enjoying the amazing Sunday Brunch at 18 Oaks. The restaurant was a quick walk from our room, and it offers my favorite brunch in San Antonio. 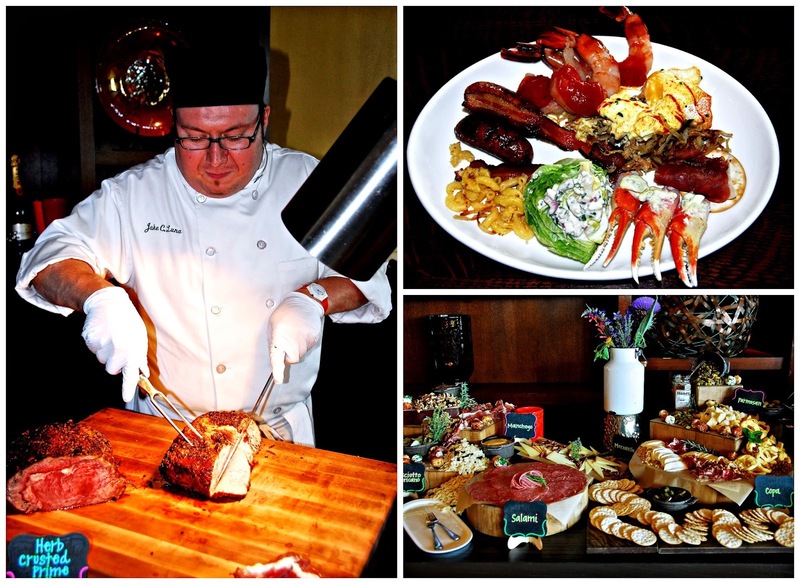 It features a seasonal array of food in an easy-to-navigate buffet setting. We enjoyed looking over the large dessert display, chilled seafood options, meat carvery station, and hot breakfast dishes. I especially enjoyed the Wheat & Pasture display, which features a variety of freshly baked breads, local cheeses, pates, salami, and prosciutto. We enjoyed a leisurely brunch, taking our time to enjoy both hot and cold food items -- and a mimosa (or two…). 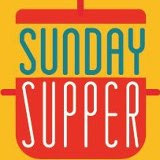 For my local readers, the 18 Oaks Sunday brunch is open to the public…so you don’t have to be a guest of the resort to enjoy it! For one price, you enjoy the buffet and unlimited mimosas. 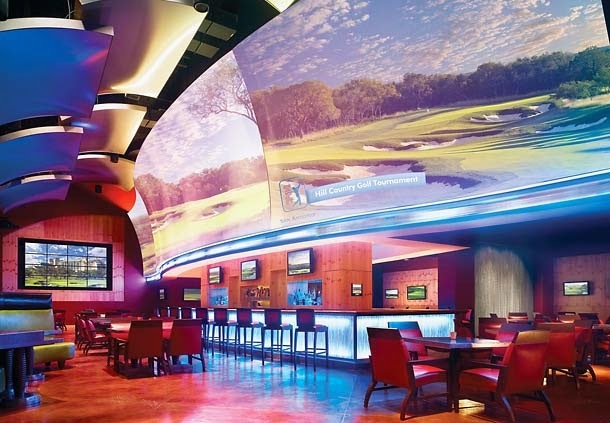 After brunch, we made our way back to the main lobby area to check out the recently remodeled High Velocity Sports Bar – they expanded this Spring to accommodate more sports fans to watch games on the large ribbon-shaped televisions. As part of our stay, we were provided coupons for complimentary cocktails at Crooked Branch, located in the expansive living room-style lobby. We decided to extend our stay a few minutes longer and ordered two fun and fruity cocktails: a pina colada and a strawberry daiquiri. Both were delicious – and not too strong. If you don’t drink alcohol…no worries! Crooked Branch also offers casual food, including great dessert options. They surprised us with a dessert duo to share. Both were creatively plated and very tasty. 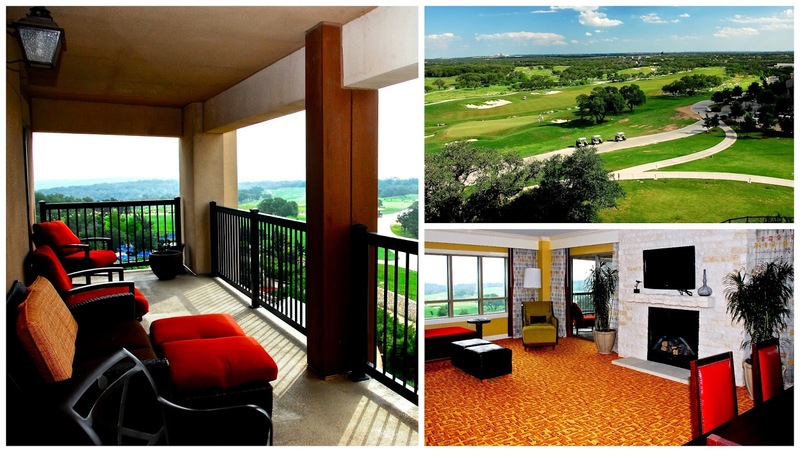 With that, our amazing weekend staycation getaway to the JW Marriott San Antonio Hill Country Resort & Spa was over. I simply can’t recommend this resort highly enough...it's fabulous in every way! Whether you’re looking for a romantic weekend getaway for two -- or a fun-filled family vacation -- they have everything you need to make memories that will last long after Summer is over. 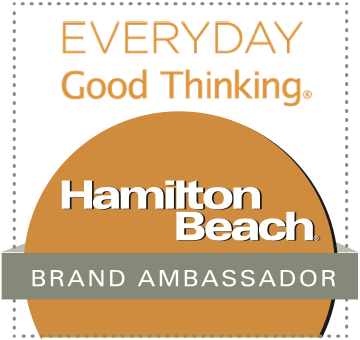 To make reservations for your own stay, visit the resort's reservation website or call 1-866-882-4420. Disclosure: JW Marriott Hill Country Resort provided us with accommodations for two nights, dinner at Cibolo Moon, brunch at 18 Oaks, and cocktails and dessert at Crooked Branch to facilitate this article. All opinions expressed are my own. Unless otherwise noted, photographs are copyright Michael K. Garcia. 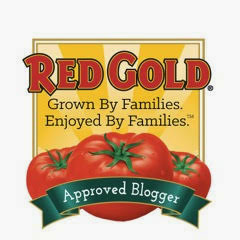 They may not be copied or otherwise used without prior permission.